I had the opportunity to review HomeSchool Office by Lord Heritage. Next to deciding what curriculum to use each year, scheduling and putting it all together is right up there as one of the most difficult aspects of homeschooling. I only have three little lives I have to organize and can only imagine how challenging, but a blessing, it would be if I had more children. HomeSchool Office is an online homeschool management and homeschool planning program that is not only for getting the backend of the homeschool together, but is a good resource for planning the day-to-day happenings of life of a homeschool child. Plan (based on Jeremiah 29:11), which is where you enter the name of your child and the subjects he studies. There are several basic subject titles (Language arts – General) to choose from, others that are more detailed (Mathematics – Calculus) and even special education choices like Down Syndrome, Dyslexia and more. You are also able to list the books and other material they would use in each subject as well as goals and objectives for that subject. Order (based on 1 Corinthians 14:40) (I also need to implement this offline. 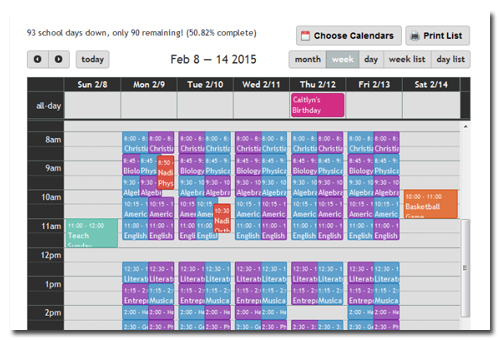 ), which is where you schedule the lessons your child will complete. You will also add other activities and responsibilities that your child has daily/weekly/monthly. Work (based on John 17:4), which is the area where your child will see all of his assignments/ responsibilities that he is to complete. Evaluate (based on Matthew 28:20), which is where you would maintain records on grading, completed hours, attendance and other areas that records may need to be maintained like for state compliance. I started using HomeSchool Office by entering the names of my children. The most tedious task was entering each subject they study in school. Since my children are still in the elementary school grades, I took the easy way out and listed them as I do with our homeschool umbrella; I chose the general classification for many subjects. Although the program is one that is to be shared with your children, I decided to use it as a resource just for me. There are some subjects we complete every day and there are others that are done a couple or few times a week. Along with the fact, I like the idea of completing subjects in an order, but do not always do that. I just want to be sure we complete the subjects I have listed. I say that, because giving a fixed schedule to my children (ex: start math at 10:20 a.m. and English at 11:15 a.m.) may bring more disorder, because some days, some subjects may take longer to complete and I don’t want them moving on to another subject just because the schedule says that is what they are supposed to be doing. I used the schedule I created as a guide for me and how we worked through our days. 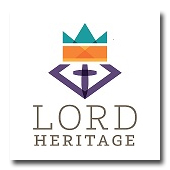 Lord Heritage has created a very useful tool for homeschooling parents. I can definitely see it as a viable tool for parents of high school students or ones who home educate in states that require great detail in record keeping. The interface is user-friendly and once you get all of the classes entered, it is just a matter of following through with entering the data. 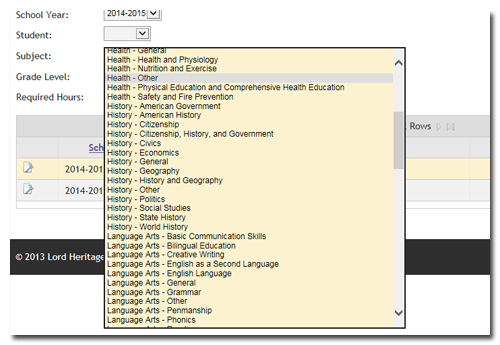 One feature I would like to see added is the ability to plan past the current school year. I have already started thinking about what my son will take each year while in high school and being able to see it has helped me with my planning. The only way I saw to do this through HomeSchoolOffice was to create a different name for him and enter the information under that student name. Right now, the program was more useful to me than my children. I can definitely see how useful HomeSchool Office could be once my children enter their credit earning grades (seventh through graduation) and become more independent in their work. It would also be a great tool for me when I start working on their high school transcripts. You may try HomeSchool Office for free for 30 days. HomeSchool Office by Lord Heritage is available for $79 per year.